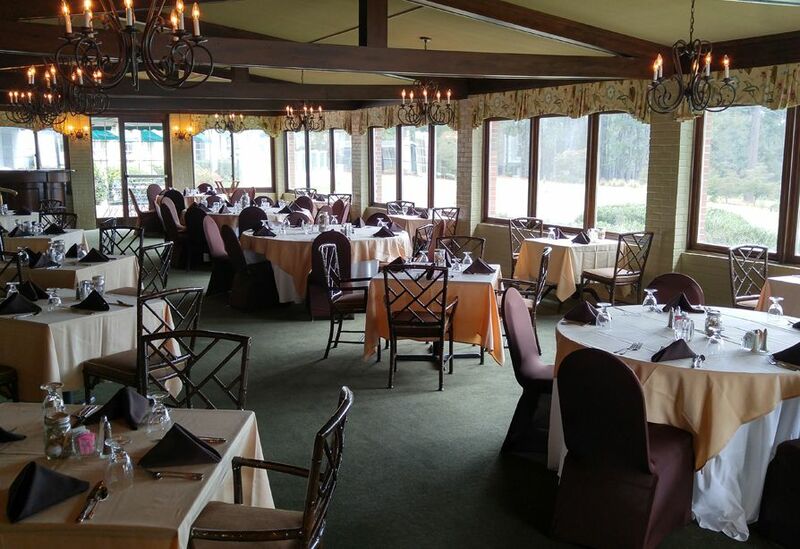 Whether you’re looking for the perfect date night spot or a casual lounge where you can grab a bite after work, Mid Pines offers great food and gorgeous views. 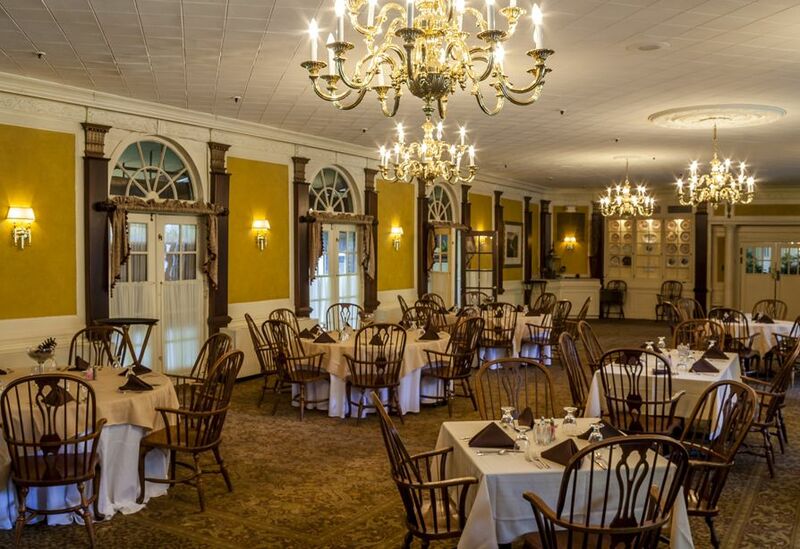 Our dining options are open to golfers, resort guests, club members and the public. Open daily to resort guests, club members and local diners, the Terrace offers bountiful breakfast and lunch buffets overlooking the 18th green. The elegant Dining Room features signature menus that vary nightly. The brunch buffet is served each Sunday from 11 a.m. to 2:30 p.m. Reservations are strongly encouraged for the holidays. Pop’s Lounge offers a casual setting that’s ideal for lunch after a round, a mid day snack or drinks with friends after work. When the weather is nice, you can enjoy the fresh air and a great view when you sip your drink from the terrace overlooking the iconic 18th hole. Boxed lunches are available upon request. In the mood for something new? 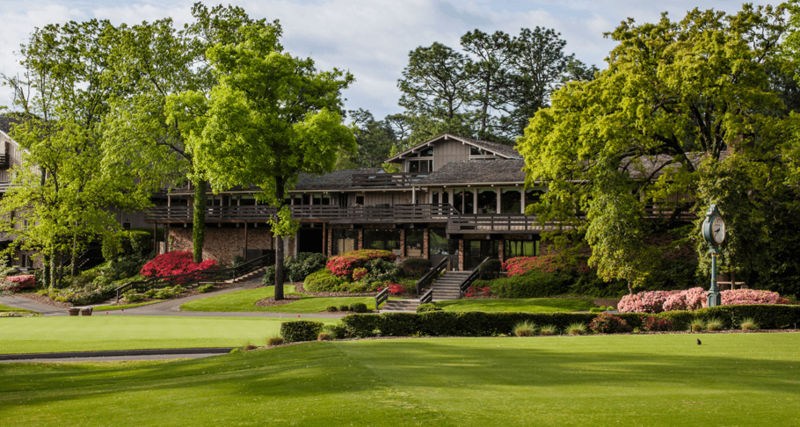 Head across the street to the Crest Dining Room and In-The-Rough Lounge at our sister property, Pine Needles Lodge & Golf Club. The intimate, fireside dining room offers signature menus that change each night and is open to resort guests, golfers and local diners. 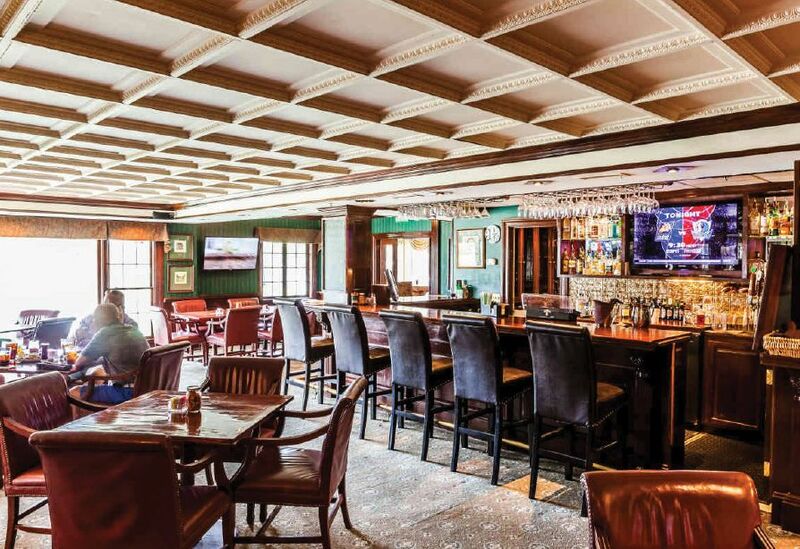 While the lounge offers a cozy lodge setting for burgers, sandwiches, snacks and more.